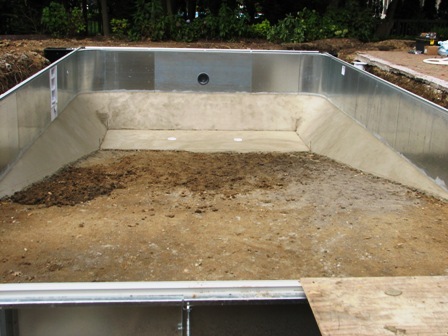 Want to see the process for how Edwards Pools installs vinyl liner inground pools? Watch this video showing the process from start to finish. You will see the dig being done to the concrete decking being poured. Couple of things you will notice is how we install sump pits for ground water control, and the electrical work we can do ourselves, not through a sub-contractor. This pool is a 16’x32′ with grecian corners on the shallow end. We installed Savi Melody LED color changing lights which do not require a wet niche. This also means there is no high voltage electric at the pool, only 12 volt. Since this pool was finished late in the year, none of the landscaping was finished or grass growing yet. We’ll get the finished pictures once that is all done. 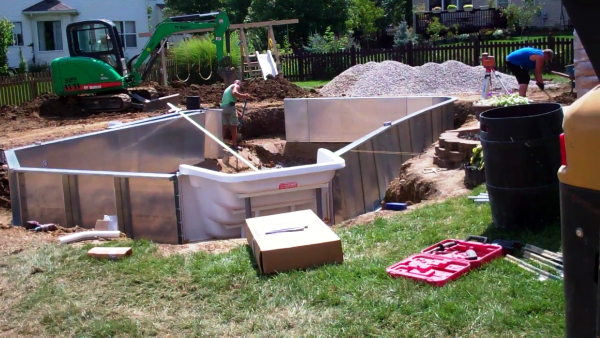 This entry was posted in Uncategorized and tagged Inground Pools, Pool Construction, Swimming Pool Options, Vermiculite Pool Base, Vinyl Liner Pools on June 13, 2012 by admin. Want a complete backyard makeover? From the simple to the elaborate, Edwards Pools can do it. We worked with Outdoor FX, a design build firm based in Dublin on this job. We built the pool that included Roman style walk in steps, Pentair Intellibrite LED lights, Superflo pump, Intellichlor salt generator, and Mastertemp electronic ignition heater. Outdoor FX laid the travertine stone decking, while incorporating fire features and the outdoor kitchen area. This entry was posted in Uncategorized and tagged Edwards Pools, Inground Pools, Pool Construction, Swimming Pool Options, Vinyl Liner Pools on March 7, 2012 by admin. 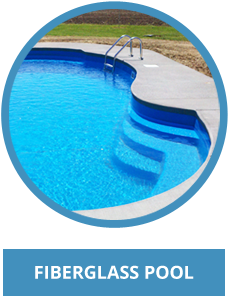 When customers first start researching an inground pool, they will invariably ask which is better, fiberglass or vinyl liner? Our response is that it is pretty much what you, as the customer, prefers. Each type of inground has pros and cons, which we address on our website. 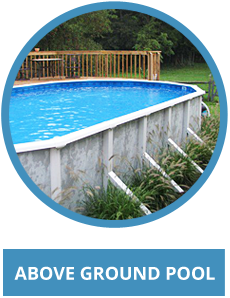 One potential negative about a vinyl liner pool is that you will have to change the liner at some point during the life of the pool. We find that typically a liner will last about eight years. While that can be a negative, lets look at the other side of the coin. In the video below the owner purchased the home and the pool was in pretty rough shape. While the pool looks rough, by simply changing the liner the pool was well on its way to being an attraction instead of an eye sore! So having the ability to change the liner in this situation was a huge plus. In one day the pool went from unusable to looking like an almost new pool. Watch the video below and see the transformation yourself! This entry was posted in Uncategorized and tagged Inground Pool Liner, Inground Pools, Vinyl Liner Pools on January 24, 2012 by admin. Video Of Inground Equipment Pad With Hayward ProGrid DE Filter! This video shows an inground equipment pad setup using a Hayward ProGrid DE filter. DE filters are the best filter you can buy in terms of how effecient they are. The one drawback is dealing with DE powder when you backwash and or clean the filter. This system has a 1hp Hayward superpump, a ProGrid 4820 model DE filter, HeatPro heatpump, and Aqu-Rite salt system. You will notice the 3-way union valves we use to control water flow on the suction and return side. We like using the union valves because they can be broken down easily when you close your pool, or need to do some other maintenance. Sorry about the video quality in advance but I think you can get the idea on what the setup is. This entry was posted in Uncategorized and tagged Edwards Pools, Fiberglass Pools, Inground Pools, Pool Construction, Pool Maintenance, Swimming Pool Options, Vinyl Liner Pools on August 23, 2011 by admin. Video Of Inground Equipment Pad With Hayward Cartridge Filter! This short video shows an equipment pad for a inground vinyl liner pool. The filter is a Hayward C-900 cartridge filter. Water is moved by a 1hp Hayward superpump. A Heatpro heatpump from Hayward along with an Aqua-Rite salt system round out the setup. We started installing cartridge filters a couple of years ago. For years we put DE filters on inground setups but wanted to get away from dealing with DE powder. A cartridge filter runs only a little less in the microns it will filter down too, but without the powder to deal with. And it still filters a lot more effeciently than a sand filter. Enjoy this short video showing the cartridge filter setup. 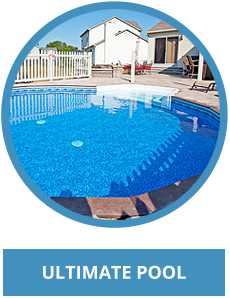 This entry was posted in Uncategorized and tagged Fiberglass Pools, Inground Pools, Pool Construction, Pool Maintenance, Swimming Pool Options, Vinyl Liner Pools on August 16, 2011 by admin. Vermiculite Base For Vinyl Liner Inground Pool!! This is a short video showing the process when troweling the bottom in on a vinyl liner inground pool. You can see how we start with nothing but dirt and gravel, and trowel the base material over that untill the bottom is finished. We use a vermiculite base rather than a grout base. Vermiculite sets up hard enough to walk on, but stays soft enough to be able to do any repairs needed. We can scrape any trowel marks, or repair any rough patches to get the bottom as close to perfect as possible. With grout (concrete) base you can not do this. Unless if a grinder is used any trowel marks or imperfections are permanent. Vermiculite also allows water to flow through it back and forth. This allows for it to not crack like a grout mix will. You can see the string lines we set in the bottom. This lets us trowel the bottom in exact so that our liners fit like they are supposed to. If you do not set string lines you are guessing at the dimensions, and there is a good chance your liner will not fit perfect. This entry was posted in Uncategorized and tagged Inground Pool Liner, Pool Construction, Vermiculite Pool Base, Vinyl Liner Pools on August 9, 2011 by admin. Vinyl Liners Fading Over Time! We have posted articles talking about how vinyl liners fade. In this short video you can see exactly how a liner will start to fade. The water line is where you start to really see it go. Most liners will have a border pattern around the top. The water level in a pool will be right in the middle of that border. Because of this the bottom half of the border fades out, while the top half stays looking fairly good. The part of the liner that is under water will all fade the same, so it is sometimes hard to tell how bad that it is. Not so with the border. Why do you guys talk about this issue so much? Glad you asked! We stress this issue with liners because the warranties can be confusing. All liners are only warrantied from the seams pulling apart. Their are no warranties for fading, tearing or shrinking. I have heard many times, “the other guys I talked to said their liners have a warranty of 20 years, you say yours will only last on average around 8 years. Why would I choose yours over the other guys.” Uh oh, somebody didn’t completely explain what the warranty was. Because we hear this more than we should, we like to talk and write about it. This entry was posted in Uncategorized and tagged Aboveground Pools, Inground Pools, Vinyl Liner Pools on July 19, 2011 by admin. Steps And Benches For Vinyl Liner Inground Pools! 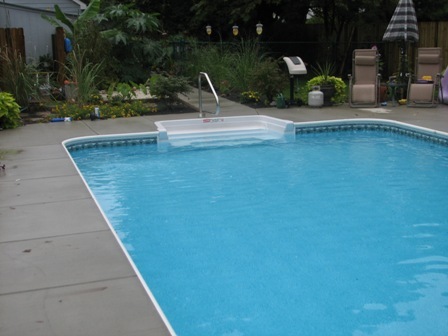 One of the trends that is happening in the vinyl liner pool market is the option of covering steps and benches with the liner. I personally think that it is a great way to go. It gives the pool a uniform look rather than having a white fiberglass step sticking out against a blue liner. Fiberglass steps and seating areas. 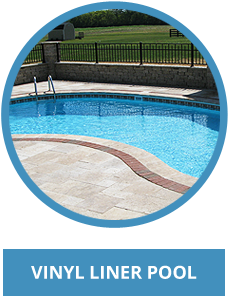 Going this route is the least expensive and the easy way to build a vinyl pool. The step or bench comes as a one piece unit that is bolted into place with the wall panels. The liner is sealed around these with a gasket and faceplate strip. This makes it easy to build the pool, knowing that your liner will fit without wrinkles. The bulk of vinyl pools are built this way and turn out very nice. Vinyl covered steps and benches. Going this route when building a vinyl pool is becoming very popular as I stated before. Adding the steps and benches with the liner covering them gives the pool complete uniformity. The color scheme of the liner is the same across the whole pool without the steps sticking out. One of the drawbacks to covering the step was the use of rod pockets and clips to hold the liner into the step. It could be a pain to work with this system of securing the liner to the step or bench area. Manufactures now make a bead receiver that is built into the step or bench when it is assembled. The liner manufacture welds a bead on the backside of the liner where it will attach to the step. This is the same bead that is used to secure the liner into the coping around the top of the pool. This works much better in securing the liner to the step or bench than the rod pocket and clip system. Building a pool with a vinyl covered step does require the builder to really pay attention to dimensions and measurements when constructing the pool. If the pool is not built right to specs there is a chance the liner will have wrinkles around the step area. You would think that should not be an issue but a lot of pools are built with the philosophy, “ah that’s close enough”. Sad to say but it’s true. Overall if you are looking to put some “wow” factor into your vinyl liner pool, look at the vinyl covered step and bench options. This entry was posted in Uncategorized and tagged Edwards Pools, Pool Construction, Swimming Pool Options, Vinyl Liner Pools on June 28, 2011 by admin. Why The Bottom Of Your Vinyl Liner Inground Needs String Lines! What do you mean I need string lines in the bottom of my pool? When I am talking about string lines, I do not mean when the pool is finished. When the liner is installed you do not want anything underneath it but the material used for the bottom of your pool. And you want it to be completely clean. So what do I mean by string lines in the bottom of the pool? During the construction of your pool, when the bottom is being done is when your contractor should be using string lines. Whatever style or shape the bottom of your pool will be, the use of string lines insures that the dimensions and measurements are right. This is the biggest reason why I feel that setting string lines are important. Once the wall panels for your pool are set in place and leveled, your contractor should measure from the top of the wall down into the hole to get the exact depth. We will set rebar pins and tie off string line so we know right where we are supposed to be. Whether your pool is going to have a finished depth of 8’, 6’ or whatever you decide on, the way to make sure it is exact is to set string lines. The liner will be made to fit your pool. 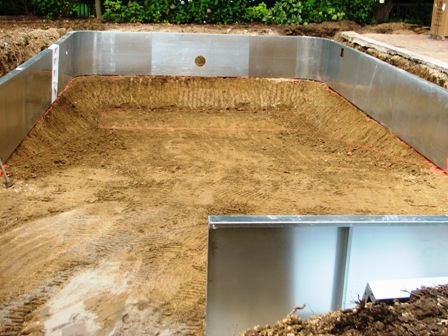 Your contractor will have a dig sheet showing the dimensions of the liner for your pool. They now have to build the pool to fit the liner. Do not let your pool builder tell you they can stretch the liner in place. Liners will stretch but it should never be more than 1”, two at the most. If the liner is stretched into place it will cause it to be pulled to thin in spots, which shortens the life of the liner. No matter how well the dig is done, unless string lines are set, there is no reference point to go off of when the pool base material is installed. Setting reference points with string lines can cause extra work. There will probably be places than need to be cleaned out, either by shovel or possibly a pick. Possibly there needs to be gravel added to the bottom to fill in low spots. Most pool builders I have seen will not take the time to do this. They place the bottom material by putting just enough to cover the dirt and say “we’ll let the liner stretch in place”, not caring to make sure the dimensions for the bottom are right. Not good. Whatever your pool builder uses for the base of your pool, whether it is a vermiculite mix or a grout concrete mix, it needs to be installed at a certain thickness. This is where settings string lines allows for the builder to see if there is enough room between the dirt and the string to install the base material at the proper thickness. 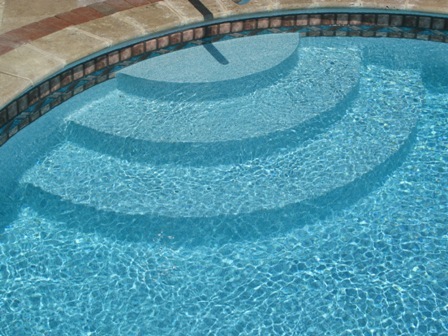 If you want the liner for your pool to fit like it was made too, it is a good idea to make sure your contractor sets string lines as reference points. Don’t get me wrong. You can “eyeball” it close. When you are spending thousands of dollars on your pool project though, do you want it close, or exact? This entry was posted in Uncategorized and tagged Inground Pool Liner, Pool Construction, Vinyl Liner Pools on June 21, 2011 by admin.